I would like to know your most convincing argument that God exists. I would prefer if you thought up arguments by yourselves instead of throwing quotes of the Quran at me. I used to be a Muslim for 17 years of my life but then decided that there was insufficient reason to believe that God exists. Before you proceed to tell me an argument for the existence of God, please take the time to define God, so we know what it is you are arguing for the existence of. One day an atheist make a rendesvouz with a religious scholar to prove and discuss whether God existed. They set the appointment time to be at afternoon, on the riverside. The atheist is waiting, but the scholar doesn't come - he's late. 20 minutes later, the scholar showed up sailing with his raft. "dude, you're not just late, you're so very late! what take you so long, you've made me almost die waiting!" the atheist miffed. the scholar answered, "sorry my friend. but a strange event happened today. when I wanted to cross this river, I realized the bridge has fallen down, hit by the wind. So I just sat and waited, and some strange event happened. Suddenly the trees beside me fell down, its woods are chopped themselves into pieces, and then they arranged themselves in a row. Suddenly, a wind came brought the rope, and the rope was moving accidentally, binding itself to the woods....and it's made a raft themselves. You see this raft I've used to sail here? It's made by a series of accidents!" atheist : "dude, you're out of your mind" the atheist answered, "how come the trees magically transformed themselves into a well-made raft by accidents? Someone's hands must have created the raft! In order to create this raft, someone have to cut down a tree, chopped its woods, arrange them, and bind these woods together by rope"
scholar : "what happened if this raft is truly made by accidentally strange events?" atheist : "you'll be lucky if you can sail by a trunk. you'll be drowned before you could even sail"
scholar : "my friend. if even creating the raft requires a series of intended action to make it well-made, how about the Universe that is million times more complex than merely a piece of raft? why can Universe live to million years with its planetary systems stood still, not colliding each other? if Universe is so fragile, we won't even live and able to stand here right now, will we?" I've heard this too many times. It is an extremely shallow view of the question. You couldn't possibly believe what the "scholar" just said. First and foremost is the problem that what the scholar describes is against the laws of nature. In order for the raft to form like this it would have to bypass several forces which is not unlikely, it is impossible. This sounds more like a magic trick, like when the prophet Moses would throw his stick and it would become a snake. Interestingly enough you yourself are condemning "magical" events like that. The universe does not break the laws of nature. We understand a great deal of how the universe got here. And even if we didn't, the best you could do would be an argument from ignorance, a God of the gaps. Why don't the planets collide? Gravity. The universe may as well be "fragile" though I don't know what you mean by that. However this is proof of nothing. Just because we exist doesn't mean we HAD to. If I handed you a shuffled deck of 52 cards would you be amazed? Would you think, hey this very arrangement of cards had a probability of 1/(52!). No, you would see no reason why the deck was what it was, it just randomly happened to be. In the same way, we didn't HAVE to exist. Our existence is as much of a miracle as a shuffled deck of cards. Finally and perhaps most importantly, would you say that a human is more complex than a raft - and therefore a human could create a raft? Using similar reasoning would you say that God is more complex than the universe (if He is simpler how did he create the universe)? I will respond to this point once you answer that question. I am an ex-Muslim, and I decided there is insufficient evidence to believe anything supernatural the Quran or any religious book or any religion claims, and until there is sufficient evidence presented to support these extraordinary claims, the default state is disbelief. "And in the livestock there is a lesson for you: we provide you with a drink from their bellies. From the midst of digested food and blood, you get pure milk, delicious for the drinkers. (The Noble Quran, 16:66)"
Proteins: building blocks are amino acids in the blood. Casein micelles, or small aggregates thereof, may begin aggregation in Golgi vesicles within the secretory cell. "The carbohydrate lactose gives milk its sweet taste and contributes about 40% of whole cow milk's calories. Lactose is a composite of two simple sugars, glucose and galactose. In nature, lactose is found only in milk and a small number of plants (McGee 17).Other components found in raw cow milk are living white blood cells, mammary-gland cells, various bacteria, and a large number of active enzymes (McGee 16). how can anyone in 6th century know without microscope and other modern equipment that white milk forms from red blood ????? this is truly amazing proof that quran only can be from God and nobody else. I ASK YOU ATHEISM, HOW COULD ANYBODY KNOW IN 6TH CENTURY WITHOUT MICROSOPE THAT WHITE MILK WAS CREATED FROM RED BLOOD? CAN YOU ANSWER THAT QUESTION, THIS IS MY EVIDENCE OF EXISTENCE OF GOD, BEACUSE ONLY GOD HAD SUCH MICROSCOPIC INFORMATION AND THERE IS NO CHANCE THAT A HUMAN COULD KNOW IN ARABIAN DESERT WITHOUT MICRSOPE WHAT IS GOING ON ON MICROSCOPIC LEVEL. CAN YOU ANSWER THAT ? Considering you also believe in devils, angels, magicians, etc., there is no way you could demonstrate that some sort of magician did not acquire this information. Even if certain claims were shown to be correct it does not add credibility to the rest of the claims. Also don't talk about science if you're going to cheat with it. You can't accept some science and then reject other science (such as evolution). Nope, nothing miraculous. What the Quran said was extremely superficial, along the lines of well cows eat stuff and milk comes out. It would be impressive if the whole process was fully described like you described from outside sources. Of course this is not the case. If the verse was truly magnificent you would not need to explain how it vaguely resembles what actually happens. This isn't even vaguely relevant to the rest of the post. 21:30- Do not these disbelievers see that the heavens and the earth were an integrated mass, which We then split, and from water We made all living things? Will they not believe even then? 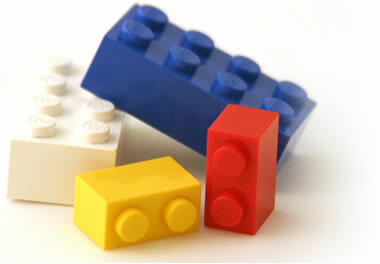 51:47- With power did We construct heaven. Verily, We are expanding it. Of the infinite possibilities of what to count, it is unimpressive that you can find numerical coincidences. The probability is simply not that impressive. You can find similar coincidences in the bible. You can find similar coincidences in any text large enough, if you have the tools and willpower to check through the possibilities. If you counted two sets of synonyms or antonyms and found nothing interesting, it obviously would not have been mentioned. And of all of these possibilities, you are certainly expected to have some interesting patterns, which, if highlighted separately rather than in context of all the failed possibilities, could seem marvelous. I'm uninterested in testing them, because I'm willing to grant you that all of them are true. It's pretty unimpressive that someone attributed sperm to cause birth. Something more interesting would have been to mention the role of the female reproductive system. As for the argument from design, that is intellectually weak and already explained by evolution. There also seems to be an equivocation on the word "motor". 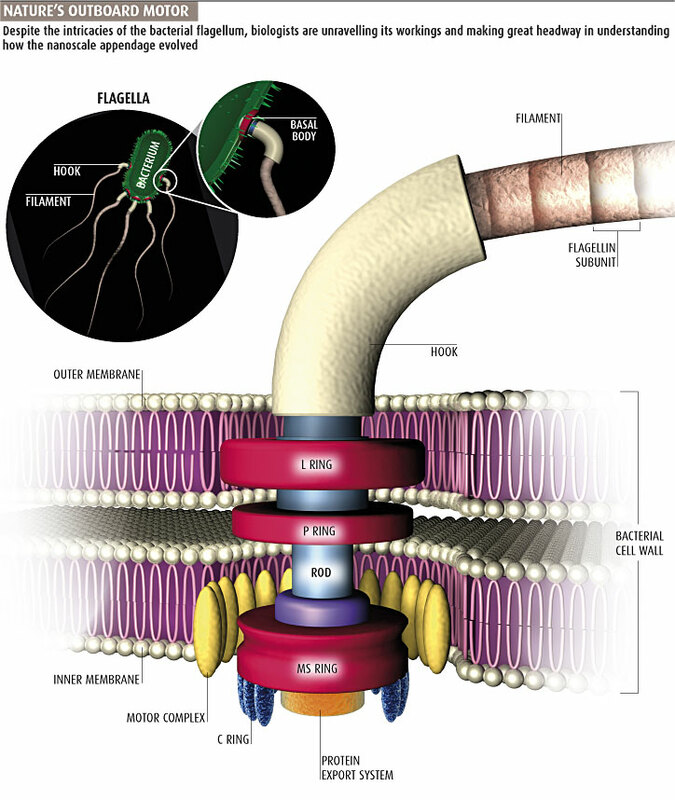 Furthermore, it's also been proven that flagellum could have different functions and evolution could bring them about. The video is anti-evolution which clearly demonstrates that it has a creationist agenda. There is no intellectual opposition to evolution. If you actually look up the facts, you will learn that essentially no serious biologist denies evolution. The DNA evidence, fossil record, geographical evidence, etc all point to evolution and nothing has contradicted it. but you forgot that you were a sperm, and was not like you were today. Same it is with th earth, earth was not like this during big bang, but atoms were presents or created during big bang and from those atoms earth and evertyhing else were created. for the sake of argument , i accept that. But how could bible and quran know that, i will tell you that. God gave information to prophets, prophets told it to people, and people wrote some parts of it in bible while in quran is direct speach to Muhammed. But bible is corrupted book, and changed , that is why we cant trust bible unless you have reference to correct it, like scanner to detect errors and true, our scanner is Quran. In quran is a lot of scientific stuff, like Pulsars, black holes, geomtry of universe, and many many other stuff wich were unknown until last 150 years when we could discover it with modern techonlogy. Of the infinite possibilities of what to count, it is unimpressive that you can find numerical coincidences. The probability is simply not that impressive. and there is a lot of these nummerical miracles in quran. HOW CAN THIS BE coincidence, AND THERE I MUCH MORE SUCH STUFF. i dont think so, if that is true, show us then. what, are you afraid of something?? :D i am telling you to watch the video when they show you nummerical miracle in quran, and you reject that. So how can i convince you if you shut your eyes in front of eviedences?? impossible. As for the argument from design, that is intellectually weak and already explained by evolution. not true, if so, then explain to us what is the evolutionary mechanism wich gives instructions to cells so they can connect different parts of the engine? The DNA evidence, fossil record, geographical evidence, etc all point to evolution and nothing has contradicted it. I've responded to this exact point before, in a different thread. *I* was never in my father's balls, not was anyone in any of their fathers balls. Just because there was sperm which then could fertilize and become me, does not mean the whole of me was in there. That's ridiculous. And you know it's ridiculous. No one would seriously say they were in their father's balls. I am defined in this physical sense which simply does not reduce to a sperm cell. I am willing to bet you know very little about the origins of the bible. The bible was written centuries after Jesus died. There are no biblical records from the time of Jesus. What's worse is, a lot of Quranic descriptions of the biblical stories actually come from accounts written even centuries after the gospels in the current bible - accounts that have been universally accepted as historically inaccurate especially due to how late they were written. So you have yet to explain how these "miracles" show up in the bible. Sure. Then why didn't Muslims claim these things BEFORE they were discovered? I've heard these exact claims with the bible. Do you read? I said I am willing to grant you all of the supposed numerical coincidences and am uninterested in the actual counts. ALL of them. I'm not disputing ANY of them. My argument does not rely on the authenticity of these claims. There is no literal engine. We call these things such by analogy. I'm not going to waste my time bickering with you about the design argument. Like I said, it is intellectually weak. If conditions were not right for us, we wouldn't have been here! It's just that simple. We are here, so of course the conditions are right for us! *I* was never in my father's balls, not was anyone in any of their fathers balls. Just because there was sperm which then could fertilize and become me, does not mean the whole of me was in there. That's ridiculous. cant you see the irony here??? that is exactly what i am saying to you but you dont understand that, you accused quran that quran say earth was present during big bang is like a would say you were in your fathers balls. just like earth was not present during big bang like it is today you were also not present in you fathers balls like you are today. Old testament was written before jesus, new testament was written after jesus. V 1- By the heavens and The Knocker. V 2- How will you comprehend what the The Knocker is? V 3- It’s a piercing star. The word “Tariq” stems from the root “TaRaQa” meaning “knocking, striking.” In many translations of the Quran this word was taken for a name and left untranslated. The word may also mean “to pulsate” like a beating heart, from which the word “pulsar” is derived, denoting an object that is far away in space, and like a star produces a regular radio signal. 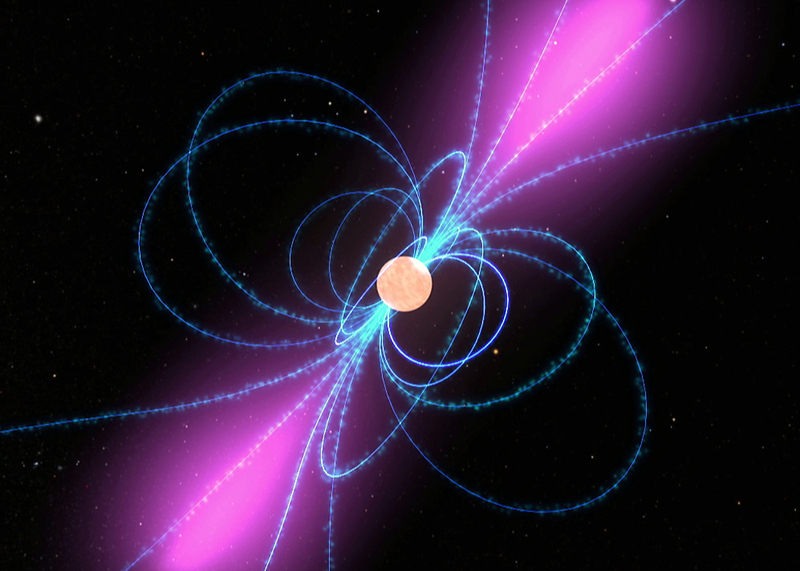 CAN YOU COMPREHEND WHAT A PULSAR IS? In the second verse of the sura, The Knocker, we read: “How will you comprehend what The Knocker is?” A spoonful of matter taken from a pulsar would weigh one billion tons. Were we to depose a small particle of it on earth, the particle would pierce it and end up in its center. Just think of it, a spoonful of any matter on earth hardly weighing more than a few grams! This shows how difficult it is to conceive of a pulsar. A pulsar is produced by the compression of stars a couple of times bigger than the sun. The diameter of a pulsar can be about 15-20 km. Were we to compress our world in a like manner, we would have a sphere of 100 meters of diameter. It takes the earth 24 hours to rotate around its own axis, whereas the pulsar rotates around its own axis many times per second; all these things show how difficult it is to comprehend this striking, pulsating star. 3- It penetrates, pierces, drills. A- None of the planets produces pulsations that give the impression of knocking, beating. B- None of them is a star. They are cold celestial bodies. C- None of them produces such an intensive radiation. As one can see, the Quran had already mentioned a star that was to be discovered. This star was indeed discovered, but in the year 1970. Since the concept of a “pulsating star” could not be imagined at that time, it was rendered in translation as it stood, i.e., “Tariq,” the meaning of it being explained in footnotes, in dictionaries and interpretations. The Quran whose every sentence, every word is based on the finest of meanings, wherein lie hidden realms still to be discovered. The more we study the Quran, the more we are enlightened, the more we learn. This pulsar is a typical, normal pulsar, rotating with a period of 0.714519 seconds, i.e. close to 1.40 rotations/sec. This pulsar lies near the centre of the Vela supernova remnant, which is the debris of the explosion of a massive star about 10,000 years ago. The pulsar is the collapsed core of this star, rotating with a period of 89 milliseconds or about 11 times a second. HOW COULD MUHAMMED OR ANYBODY ELSE KNOW THE CARACTERISTICS OF PULSARS WHEN THEY HAD NOT TELESCOPES , COMPUTERS AND AMPLIFIERS? i hear a lot of crazy stuff but without any evidence for it, like there is no evidence for that claim that bible contain nummerical miracles. But in my case, i provide you evidence that quran contains nummerical miracles, wich you obviously dont want to look at. I said I am willing to grant you all of the supposed numerical coincidences and am uninterested in the actual counts. ALL of them. I'm not disputing ANY of them. My argument does not rely on the authenticity of these claims. why do you call it coincidences? how can you call somthing coincidens when you can create somhing like that even today with modern computers? Located in the nucleus of atoms, neutrons have mass slightly lower than those of protons. This indivisible particle gets its name for the fact that it has no electrical charge. It is 1,839 times the size in mass of an electron. Elements get their atomic number based on the number of protons found in each atom. This indivisible particle in the nucleus of an atom carries a positive charge, referred to as "1" on the atomic weight scale. A proton has a mass 1,837 times greater than that of an electron. It is remarkable that the neutron was not discovered until 1932 when James Chadwick used scattering data to calculate the mass of this neutral particle. Who discovered the neutron and when? The British experimental physicist James Chadwick discovered the neutron in 1932. Of the three fundamental particles that make up atoms, the electron, the proton and the neutron, the neutron was the last to be discovered. It's lack of a charge made it more elusive than its companions. Links can be found below. The existence of a "neutral element" within the atom was suggested by Ernest Rutherford in 1920 and was proposed by Santiago Antunez de Mayolo at the Third Scientific Pan-American Congress in 1924. How can you explain, that you can find word NEUTRON in a book from 6th century wich claims it is reveleation from God who knows future and past, and not only that, verse is 18:39, wich is (1,839) mass of neutron greater than an electron? What was Allah's intention when he put all these numerical miracles in the quran? what was to be gained by it? 38:87 The Qur'an is nothing but a Reminder for all peoples. 88 And after a time shall ye surely know its message. those miracles in quran are proofs that this book is is from the Lord of Universe, Allah, creator of everything, who knows everything. 18:29...‘Now the truth has come from your Lord: let those who wish to believe in it do so, and let those who wish to reject it do so. I don't think you understood my point. I said you *can't* say that I was in my father's balls. That is ridiculous. I am not defined in that way. Honestly, the unnecessary length of your posts takes away from any potential substance. I really wish you would just stop copy pasting things that you think prove something, and instead just read them for yourself. If you find something convincing, how hard would it be to summarize it yourself? There are vague descriptions in the Quran which Muslims then claim refer to things we actually find in reality. There is nothing extraordinary about that. What would be impressive would be an accurate specific description of something as advanced as the things you mention. Vague descriptions are unimpressive simply because you could fit them to anything. The Quran did not display any understanding of the characteristics of this. In fact, it only says "piercing star." It sounds a lot less impressive than you want it to sound. On the other hand, what about factual inaccuracies? For example, the Quran describes literal creation whereas we now know that we evolved from other species. Why are you only using science when it supposedly agrees with the Quran? I've granted you every single numerical pattern you claim exists. I don't know how I can make that any clearer. You don't understand the point I am making. If you take any text large enough, it has enough words that you are bound to find interesting mathematical patterns. That is all I am saying. You can do this for any text. There is no particular reason why one would expect certain similar words to follow a pattern but not others. Due to the large number of words, some are bound to be used the same number of times. The difference is that no one does stuff like this for anything outside of sacred books. These patterns are mathematically unappealing. What would you think if I showed you a list of similar words in the Quran that are NOT used the same number of times? I said there is no *literal* engine. This is simply a strawman argument. First of all, what do you define as order? Most of the universe is chaotic and inhospitable. We are a very small part of the entire universe. In a universe so large, it is hard to imagine that such regions as ours where there is life would not exist. This is how random events occur. For example, if I take a random whole number with ten trillion digits, I am essentially guaranteed that I will find the string '0123456789' somewhere in the ten trillion digits. Can I then look at the string and claim that the number is not random? I say that is absurd. 1865 had very little to do with DNA. You can tell that this is a total stretch. The guy coming up with this one had to spend a lot of time trying to make it seem relevant. Comet has nothing to do with a star. Also, the orbital period is closer to 75 years. I'm sure this is less impressive if you actually consider what it says in Arabic. Would you consider anything that used that phrase to be miraculous? Because this seems only dependent on the words used. Again, I really don't see why this and similar would be a rare coincidence, because it is dependent on the Arabic words being used. Once again, I have to say the length of your post took away from any substance. I have seen all of these claims before, and I am unimpressed. Given enough time and effort, Shakespeare's books could be shown to have an inner secret code describing the future. If you get vague enough, and get a text large enough, who knows what you can do? I take it you are a sunni Muslim? What is your response to the word "imam" showing up 12 times in the Quran? 12 imams sounds familiar, doesn't it? What does this prove? For example, the Quran describes literal creation whereas we now know that we evolved from other species. Why are you only using science when it supposedly agrees with the Quran? Hundreds of garfish fossils that have been collected give evidence that these still-living fish have remained unchanged for millions of years. The garfish pictured, between 54 and 37 million years old, is no different from those living in our seas today. This exact similarity is an inexplicable situation for Darwinists and once again proves the fact of creation. "Living fossils" reveal that species have not evolved, but are created. Species have not attained their present body structure by chance, as evolutionists claim. They are all created flawlessly by Almighty God and have lived throughout their existence in the form they were created. The herring fossil pictured also proves this. Herrings have remained the same for millions of years, preserving the form and structure with which they were initially created. Like all other fossils, this herring reveals that the theory of evolution is based on lies. 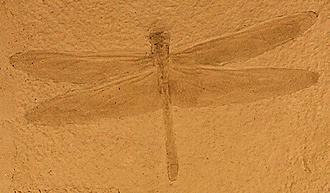 30-million-year-old fossils that are identical with creatures living today refute the theory of evolution. Fossil discoveries reveal that rabbits have always been rabbits. Seas in our day have many species of sunfish. The fossil pictured shows that sunfish have not evolved. For millions of years their physiology has remained the same. The appearance and structure of sunfish that lived about 55 million years ago are the same as those alive today. The shrimp is an arthropod belonging to the sub-phylum Crustaceae. Its body is covered in armor composed largely of calcium carbonate. Various species of shrimp live in both salt and fresh water. The earliest known shrimp fossil dates back some 200 million years. The fossil shrimp pictured is around 145 million years old. Shrimps, which have maintained their structure for millions of years with no change, are proof that living things never underwent evolution. The oldest known fossil spider is of a water spider, 425 million years old. The fossil pictured is 156 to 150 million years old. Such fossils show that spiders have been the same for hundreds of million years. Darwinists have no consistent and scientific answer for these findings. You don't understand the point I am making. If you take any text large enough, it has enough words that you are bound to find interesting mathematical patterns. That is all I am saying. You can do this for any text. dont guess, just show us where such thing can be found in bible for example beacuse you claim bible has also something like quran. Show us now with proof. The tiger is a mammal of the Felidae family. 80 percent of the tiger species live in the Indian Peninsula. Some races living today, like the Malaysian native to the side, have the large eyebrow projections and the foreheads that are inclined backwards—features peculiar to Homo erectus skulls. More than 6,000 species of ape have existed at one time or another. The great majority of them have since become extinct and vanished, leaving only some 120 species alive today. But the fossils belonging to these nearly 6,000 extinct species represent a rich source of hoaxes for evolutionists. Unable to point to any concrete evidence, evolutionists surround fossils of extinct apes with biased analyses and then present them as evidence for evolution. For years now, evolutionists have been employing such methods in order to gather supporters and mislead the public. However, they now need to see that these methods are of no use. The false evidence used by evolutionists to make their tall tales of the alleged human evolution seem more credible—and the debunking of that evidence—are summarized below. However, there are many more evolutionist hoaxes than the few considered here. All the “ancestor of man” reports in the media, as well as the illustrations accompanying them are completely fictitious. Concrete scientific discoveries have now demolished the story that human beings became human by means of a gradual course of development. Piltdown Man: A fossil skull was discovered in 1912 and described as belonging to a half-human, half-ape species. For the next 40 years or so, evolutionists used this fossil as one of their supposedly strongest pieces of evidence, making countless analyses and illustrations of it in a statement issued on 21 November 1953, however, Piltdown Man was finally declared to be a hoax. A dating test performed 40 years after its discovery revealed that the jawbone and the skull did not actually belong to each other. More detailed examination revealed that the “Piltdown Man” skull had been assembled by adding an orangutan jaw to a human skull, which was then aged using potassium dichromate. The way that the skull had been displayed in London’s Natural History Museum for 40 years and that no permission had been given for detailed scientific studies to be carried out during that time has gone down as a major scientific scandal. Fossils discovered on the islands of Java in 1891 and 1892 were given the name Java Man (Pithecanthropus erectus). ALL THE SKULL THOUGHT TO REPRESENT EVIDENCE FOR EVOLUTION HAVE BEEN DECLASSIFIED! Nebraska Man: A single tooth, discovered in 1922 by Henry F. Osborn of the American Museum of Natural History, was depicted as belonging to an intermediate life form between apes and human beings. However, in an article published in Science magazine in 1927, Osborn’s colleague William Gregory stated that the tooth actually belonged to a wild boar—whereupon all evolutionist claims regarding the fossil were quietly laid aside. The illustration to the side, produced on the basis of a single tooth by evolutionists of the time, was published in the press. Darwinists’ ruses and the techniques they use to mislead people are now totally futile. Faced with atlases that make the fact of Creation crystal-clear—and countless fossils that demonstrate how living things have never changed in the slightest—Darwinists have seen that all life forms were created out of nothing. Their ruses have been exposed and effectively neutralized. By itself, this 73-million-year-old leopard skull is sufficient evidence to show that all tales regarding the changes supposedly undergone by life forms are totally invalid. They show that leopards living 73 million years ago had exactly the same characteristics as leopards living today. God has created all living things with their different appearances and forms. In the same way that their lifestyles and needs differ, so there are profound differences in their body structures. This means it is not difficult to describe the fossils that are unearthed, making it possible to establish the anatomical features of a living thing whose fossil remains have been discovered. The 45-million-year-old zebra fossil illustrated makes this distinction. It’s evident that there is no difference between the fossil’s characteristics and those of a present-day zebra’s skull. There is no doubt that this is one of God’s divine miracles. The scientific evidence to hand is too definitive for scientists to be able to deny, even if they are evolutionists. It’s a scientific fact that species have not changed, and they have undergone no evolutionary process. According to evolutionist claims, the camel’s large skull, long neck and humps must be the result of a large sequence of mutations. As a result, there should have been innumerable mammals with semi-lengthened necks, odd-shaped heads and incipient humps. These imaginary life forms should be encountered frequently in the fossil record, and there should be no trace of fully-formed camels dating back millions of years, like the one shown here. But data from the fossil record show that such imaginary transitional forms never existed. Camels never passed through any intermediate stages, and have always existed as fully-formed camels. REAL small EYE hidden with black string, while bigger false eye drawn at the tail so predators going to be scared and not attack. You obviously did not care to listen to my statement that the length of your posts is taking away from any substance. Species have not attained their present body structure by chance, as evolutionists claim. If you understood that evolution is just natural selection, you'd understand that this is ridiculous. This exact similarity is an inexplicable situation for Darwinists and once again proves the fact of creation. This is an argument from ignorance. Even if evolution was proven wrong today, it would not add an ounce of credibility to the creation hypothesis. You would still have to demonstrate the validity of the creation hypothesis. It would not just win by default. I'm curious as to what you think evolution even is. I'm certain you don't have a good idea of what it is. Sigh, that fish is a great example of evolution. You obviously don't have a clue what evolution really is. Yes, I have seen the golden ratio claim before, and upon checking it, found what many others found - it is pretty far from the exact golden ratio points. The point chosen returns a value close to the golden ratio points, but this is true for very large regions of the earth. If you want precise golden ratio points, a golden ratio point turns out to be Rio de Janeiro - what does this prove? I haven't seen you respond to my claim that the word Imam appears 12 times in the Quran (though I may have glossed over it due to your unnecessarily lengthy posts). What do you think this proves?